WordPress with its unlimited capabilities, tempt any beginner user to play around. It is also highly recommended to play around WordPress themes, plugins and other features before you decide upon to build a solid site. But the problem is most of the beginner users will directly play with their live sites instead of practicing on dummy sand-box site and end up giving up the complete site or loosing existing traffic. 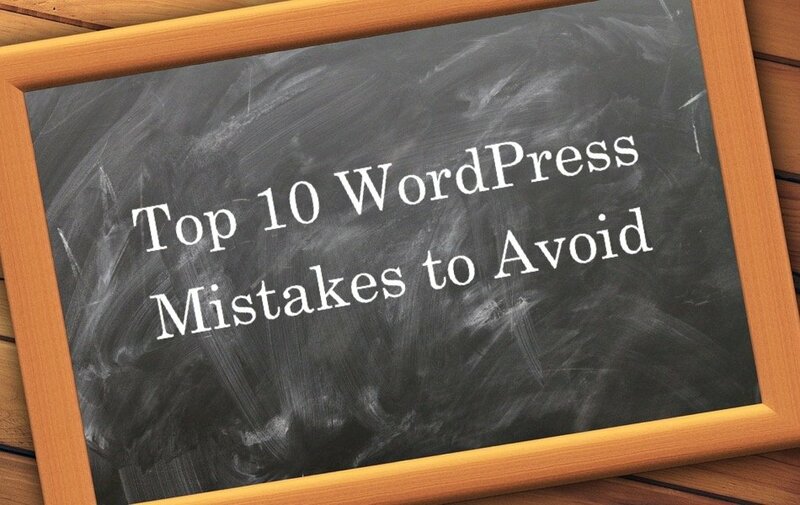 Here are the top 10 WordPress beginners mistakes generally made with the live site due to lack of understanding. You can refer these mistakes and try to avoid the same happening to your own site. Not reading the WordPress codex documentation is the top most mistake a beginner does. Most of the problems will never arise if you write down the activities and read the documents before doing it. The real advantage of WordPress is the community base it has which reflects in the form of codex tutorials and forum responses. How much you make use of it will decide the success factor behind your WordPress site. When you download the WordPress installation ZIP file, it will be extracted to a folder named “WordPress”. Most of the beginners will upload this “WordPress” folder to the server instead of uploading the content inside the folder. This will result in creating your WordPress installation under a sub-folder like www/yoursitename.com/wordpress instead of www.yoursitename.com/. Though WordPress can be installed in a sub-domain or sub-directory, before uploading the files to server you need to understand where exactly you want to install and what exactly is the URL you want for your site . Generally all extracted files are to be uploaded into “/public_html” folder which is a root of your site. Do not link incomplete page or post to any of your existing content. If you are launching a new site or section in your site, display the complete details like when it will be launched and the what is to be expected by the visitors. Display “Maintenance Mode” message if you had taken down your site for overhauling. Remove the message promptly when your site is up and live. Ensure to cleanup all the dummy content like sample page, comment, etc. created during WordPress installation. Here is a checklist for launching a new WordPress site for your reference. Never go for free themes including the default twenty seventeen theme from wordpress.org. Installing a free theme and adding hundreds of plugins is one of the worst mistake beginners will do. At the end you will be spending lot of time in adjusting plugins to suit your theme instead of building content for your audience. Choose a theme that comes with default features like shortcodes, login module, integrated shopping cart, etc. from a reputed company and always check the demo before buying it. WordPress installation package comes with a default free theme – at this moment it is a twenty seventeen theme. This is a kind of sand-box theme for developers to practice and build functions that works. Many beginner users tend to use the default free theme resulting your site looking similar to millions of others. Also the first impact of any security breach will be on the default theme, so avoid using default theme for building your site. Try out plugins and themes with your development site. Installing unnecessary plugins and themes in many numbers on live site will slow down the loading speed. Ensure only needed plugins are active and available in your live site. Delete all unnecessary plugins and themes you installed for checking purpose. Even deactivated plugins and themes will occupy server space and increase the file count of your hosting account. Plugins not used but still active on your installation may cause conflict with the functionalities of your theme or another plugin, which you really need for the success of your site. WordPress by default generates the URL of a page or post as http://www.yoursitename.com/?p=<Post ID>. This is the permanent URL to access the particular post but this can be masked with the user friendly URL with descriptive content like http://www.yoursitename.com/contact-us/. Beginners forget to change this setting to the required structure and make the URLs more difficult for the users to remember. 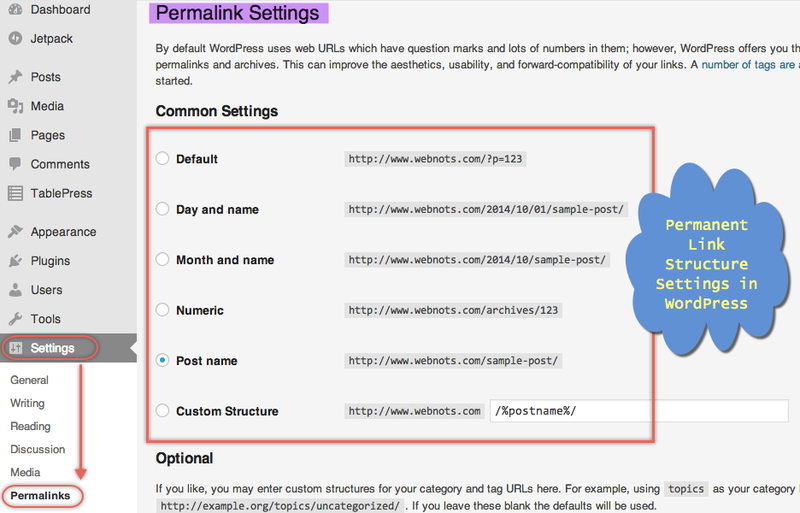 The option for setting permanent link structure for your site is available under “Settings > Permalinks“. Learn more on setting permalink on WordPress site. Like theme, failed to choose correct commenting system for your site will result in you spending lot of time in moderation. Though it really depends on your need to choose default WordPress commenting or any specific plugins, ensure to install and activate Akismet spam protection. Also disable comments for pages like contact us, thank you page, newsletter page, etc. Beginners generally do not understand the importance of keeping plugins, theme and WordPress installation up to date. Ensure to install latest plugins, theme and WordPress installation, keeping your site’s resources up to date is as important as building your site. This is not only required for proper functioning of your site but also to avoid someone hacking your site. Outdated WordPress version is more prone to hacker’s attack thus spoiling all hard work you invested on your site. Hackers mainly attempt to login to your site by guessing the password. Beginners generally keep the same password as the site name and makes the hackers work easy. Ensure to have strong passwords for your database, FTP account and site login. At any case do not use “admin” as username for login to admin panel. Remove new user registration button from the login screen easily by disabling the option “Anyone Can Register” under “Settings > General“. This will avoid anonymous users registering your site without your approval. You can also use plugins to disable login from an IP when multiple login attempts are failed. Also ensure appropriate role assignment for new users to avoid someone having admin access to delete or modify the content. Like security of your site, regular backup will really help you to avoid loosing data in case of emergency situation. Beginners do not understand this until the site is hacked or the database is completely deleted or corrupted with their own actions by mistake. Ensure to regularly backup your site either manually or using plugins. Save all WordPress installation files and SQL database in your local PC or Mac, which can be restored in case of data loss. Most of the hosting service providers offer site backup option for free or for a nominal fee, but the problem is they store your live site and back up in the same server. When the server is not accessible for any reason then the backup also will be gone along with your live site. Hence, it is recommended to store your backups regularly in multiple places where you can access it easily.